NextThe Crooked Forest of Gryfino. It sometimes seems that ‘enemies’, unlike in traditional warfare fought by two distinct sides not long ago, have changed into forces unrecognizable to us. We live in a world where we are not fighting against armies but movements, groups or ideologies that change like a chameleon, to strike at will, anytime and anywhere. The end of the Cold War led to the emergence of new states and movements vying for power and recognition, often resorting to terrorism. Terrorism it seems doesn’t often have a face and we do not always know whom we are fighting. We now live in an age where war is commonly described now as a ‘War on Terror’. On 11th September 2001, Al Qaeda terrorist attacks in New York and Washington opened our eyes to the new world of fundamentalism that we were about to face head on. It is not an ideology that was born yesterday but one that has always been there, just beneath the surface, festering until it burst to the surface on a scale of attack previously unimaginable. George W. Bush declared a ‘War on Terror’ against Al Qaeda and on anyone who harbored this group. Key to the success of Al Qaeda was its support from the Taliban government in Afghanistan. When the Taliban refused to move or act quickly enough, the United States declared war on the Taliban regime. The Australian Government immediately invoked its ANZUS treaty in support of its key ally and joined nations around the world in a ‘coalition of the willing’ to fight against terrorism. 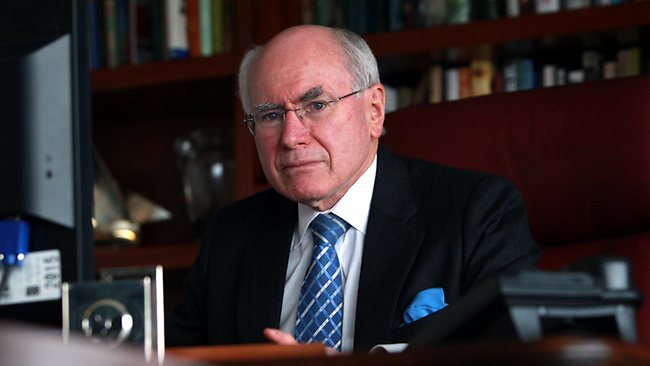 Former Australian Prime Minister, John Howard was one of the major supporters for the invasion of Afghanistan. In October 2001, a coalition force led by a large American contingent was able to expel the ruling Taliban regime. Although they had succeeded in taking control of key locations the Taliban remained a threat menacing the coalition throughout the rest of 2001 and early 2002. Australia’s initial involvement began with Operation Slipper (still currently in effect) when Australian SAS Squadrons provided air support (refueling) to mainly US aircraft operating in Afghan airspace. RAAF aircraft were also involved in providing logistic support for deployed forces on the ground in Afghanistan. 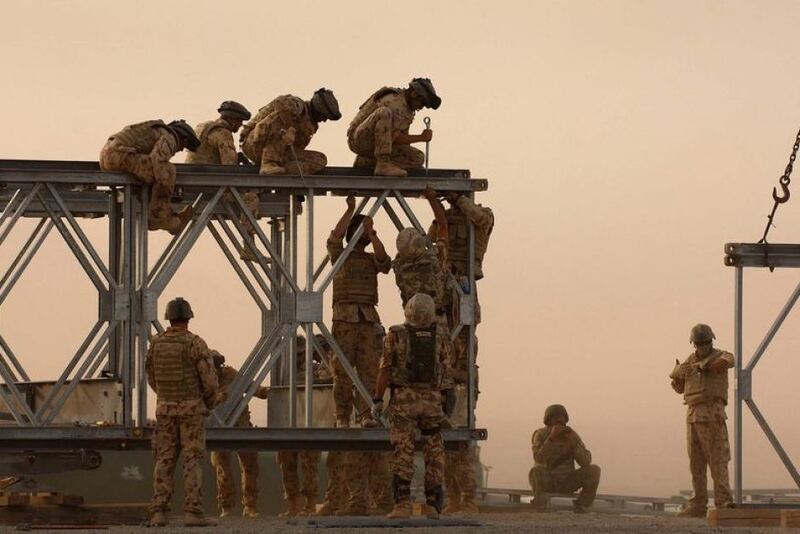 Under the overall leadership of US forces, SASR (Special Air Service Regiment) conducted reconnaissance and surveillance of al-Qaeda and Taliban positions. SAS regiments also conducted some forward offensive operations in the mountainous regions of Kabul. Having initially operated in southern Afghanistan with the U.S Marines, they would move eastward where they would play a key role in Operation Anaconda, which included amongst other things intelligence and reconnaissance of the Shahi-Kot Valley, ten days prior to the operation. SASR soldiers during the operation would also manage to save the lives of 24 soldiers of the 75th Ranger Regiment after their helicopter was shot down. In another incident during the operation SASR signalman Martin Wallace was awarded the Medal for Gallantry when he put himself in harms way to save the lives of wounded US 10th Mountain Division soldiers. 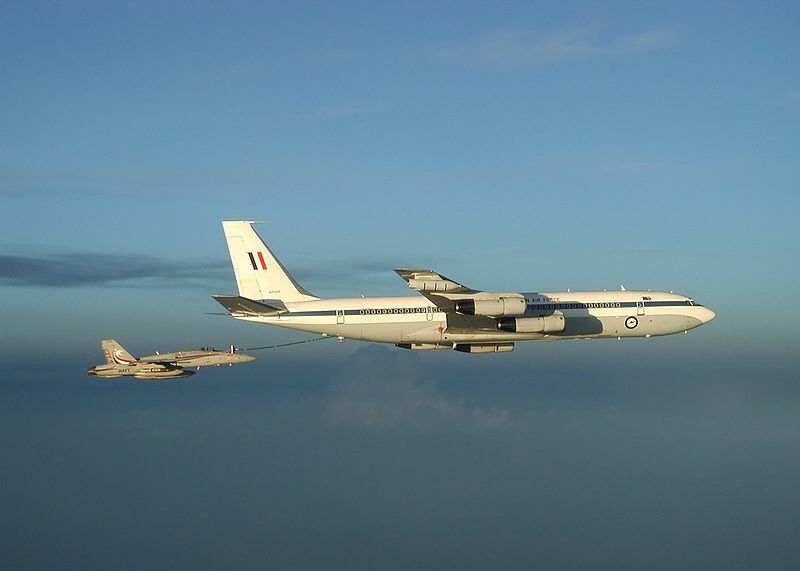 No.33 RAF Squadron Boeing 707 refuelling a US fighter. The war ended inconclusively in the middle of 2002 for Australian forces, who would be redeployed to Iraq. However a small number of Australian soldiers would remain in Afghanistan continuing operations with American and coalition forces to hunt Taliban terrorists. Following the war in Iraq, additional Australian forces would be redeployed back into Afghanistan where they were repeatedly engaged in further fighting with insurgents. In doing so they continued to demonstrate their bravery and dedication beyond compare. They also participated in building new schools, roads, and much needed hospitals. Furthermore during their time in Afghanistan they mentored the emerging army of a new, democratic Afghanistan. Throughout the Afghan operation the US military would repeatedly reward Australian soldiers for ‘bravery’ and furthermore would highly praise the Australian troops as amongst the best in the world. Soldiers from the Australian Reconstruction Task Force rebuilt this bridge along the highway linking Kabul and Kandahar in 2008. Successive Australian governments between 2002 and 2013 have renewed the commitment to the war in Afghanistan. Like many wars in recent years, as they go on, they also become unpopular and a cause for talk, especially as lose of life increases. (As of October 2013, a total of 40 Australians have been killed serving with some 260 seriously wounded.) After more than a decade, Australian forces in 2013 finally believe that they have done everything humanly possible to ensure that the Afghan security force can protect its people and homeland. By Christmas, the last of Australia’s troops will have left Camp Holland at Tarin Kowt. They will be remembered, particular in time, with gratitude and honour. In next years Anzac Day celebrations on 25th April 2014, they will march in commemorative day celebrations in Melbourne and places around Australia. They will join the long list of servicemen and women who have fought in over a century of conflicts which include the Boer War, The Great War, Second World War, Korea and Iraq. 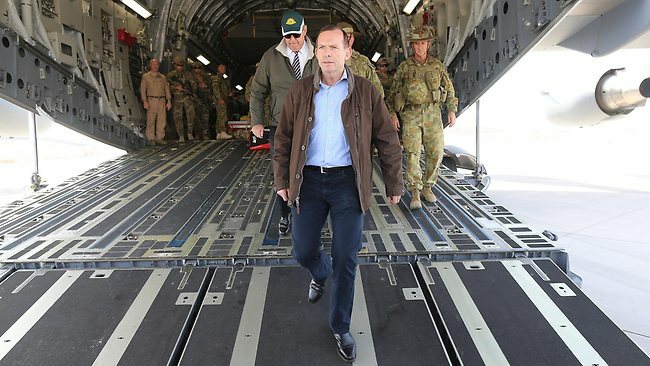 Prime Minister Tony Abbot on his recent surprise visit to thank Australian forces for their role in Afghanistan. Photo credit: All images are presumably in the public domain with the possible exception of Prime Minister John Howard and Tony Abbot and the Reconstruction Task force in Kabul and Kandahar, which I use under the ‘fair use’ rationale, in illustrating an important historical moment in Australia’s wartime history.